Here’s a simple 5-step life coach exercise you can follow that will help you have great conversations with potential clients, so that they’ll want to sign up for a program with you! If so, there’s a powerful five-step formula you can follow to have highly-impactful enrollment conversations with any potential client you meet! By following these five steps in your conversations, not only will you quickly discover whether the other person is actually ready to take action and transform their life, but you’ll also help them to make an immediate decision about whether you’re the right life coach for them. Following this five-step formula, you’ll also help the person you’re speaking to get clarity about what their dreams are… and what it’s been costing them not to have that in their life. Even more importantly, even if the potential client doesn’t sign up for a program with you, they’ll still walk away from this enrollment conversation having discovered things that will help them move forward in life! 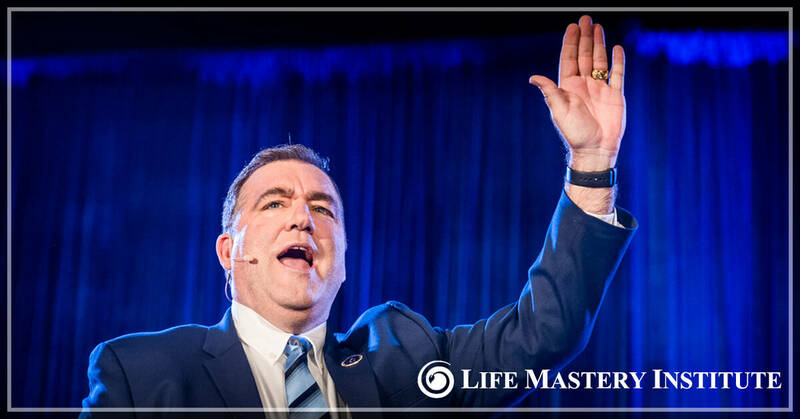 Learn the Life Mastery Institute “coaching catapult secret” for quickly increasing your influence and income as a life coach! Here is the simple but powerful five-step enrollment conversation formula. STEP #1: Ask about their areas of longing and discontent. The person you’re speaking to may know what their areas of longing and discontent are right away, or they may fall silent for a few moments while they think it over. Both are fine! Let them tell you what their areas of longing and discontent are. There may even be several of them! STEP #2: Ask them how long this challenge has been there. You can also connect this question to what they specifically told you they are struggling with. Knowing what they want, and how long this challenge has been in their life, is very important for you to be able to help them. Then, you can repeat back to them, “Wow, it’s been ten years since you really had that love of your life!” And so on. It’s important that they understand that they have the power to shift whatever they aren’t loving about their life, no matter how long that circumstance or situation has been there! STEP #3: Find out what it’s costing them. This may seem like a very direct question, but the goal here is to come from a place of caring, compassion and genuine curiosity. 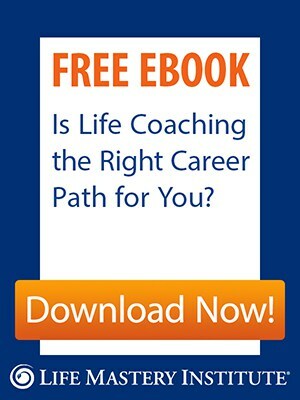 By now, you will have established some rapport, and you’ll be transmitting what really great life coaches transmit to the people they engage with, which is true caring for people and their results. STEP #4: Find out what they would truly love to be, do, have or create. Ask them if they could wave a magic wand over their life and instantly transform this situation they’ve been telling you about, what would they love? What would they create? Be sure to tell them to free their mind of how this result that they desire may come about. Our goal at this stage is simply to support them in pinpointing what they would love, not how it will move from imagination into reality. STEP #5: Ask them if they want help! By now, you’ve asked them some great questions that will have opened even a corner of possibility in their mind that they have the power to shift their results and create a life they truly love living. In many cases, the person you’re speaking to will jump at the chance to go deeper into this conversation with you, and will be very open and interested to signing up for a program with you! However, even if they decide this isn’t the next best step for them, you’ve done them a great service by listening for what’s most important to them. And, chances are, you’ve supported them in having one or more insights that will help them move forward in life in a very positive and impactful way. And now, here’s a FREE gift for you! Are you ready to learn the secrets to building a thriving life coaching business that makes a massive difference in the lives of your clients and earns you an abundant income? If so, my Follow Your Calling, Make a Difference & Be Abundantly Compensated workshop is for you! The 4 foundational pillars you absolutely MUST have in place in order to turn your passion for helping others into a thriving, difference-making life coaching business that you can run from anywhere in the world. My “coaching catapult secret” – an important step you can take right now to generate massive impact, influence and income as a life coach (no matter your age or level of experience)… and in a fraction of the time that it takes most other coaches! A simple shift in thinking that will help you to immediately begin ATTRACTING the dream clients, you’d most love to work with, to you… instead of allowing “scarcity thinking” to run the show, and relentlessly promoting your services to anyone and everyone who crosses your path.